Every time a client requests for content from a freelancer, there is always an attached expectation that the respective freelancer has the requisite expertise to steer the entire project to its logical conclusion. This covers the conceptualization of the idea, the actual content development and the positioning of the same to have maximum intended effect on the target audience. The content brief phase, therefore, presents an invaluable opportunity for the freelancer to convince the client that he possesses the necessary ability to deliver even as it also allows him to set the stage for project implementation. 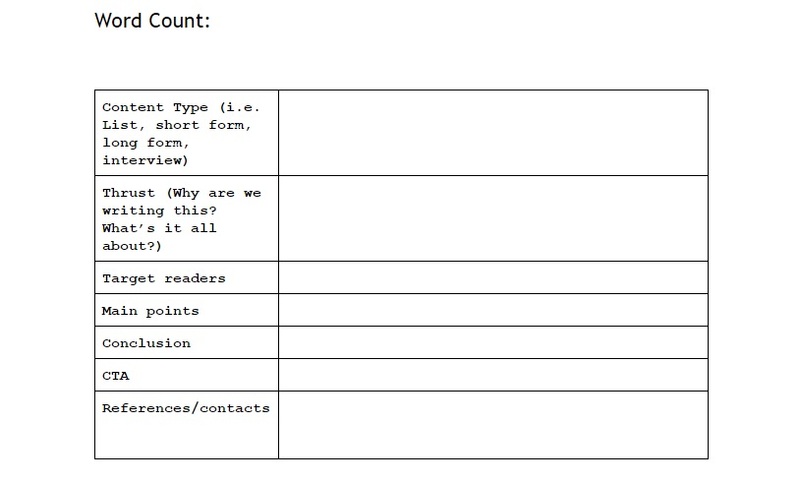 Here are 5 things to highlight in your content brief. There is no better way a freelancer can win the confidence of a client than by compellingly demonstrating the need for the proposed project. 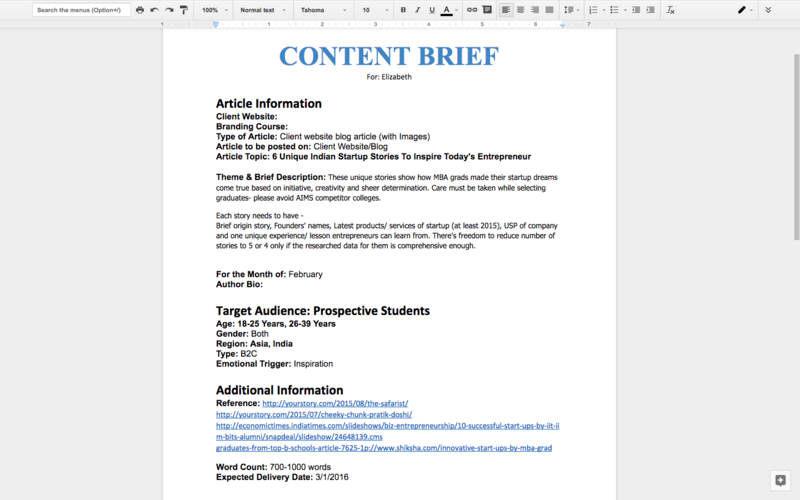 Besides highlighting the imperativeness of the content, use the content brief template to illuminate the expected effect of the content on the audience, aligning them to the client’s predefined objectives. In addition to the content, talk about its presentation, indication the platforms on which it would be most effective. It’s not just enough to use the content brief template to prove your ability to develop the required content. A shrewd freelancer would formulate a content brief that also links the content to the target audience. You do this by using the content brief to underscore your knowledge of the audience, its behavior, and expectations, as well as the things that influence the audience decisions. What is important in this stage is to convince the client that you are not just going to create content out of the blue, but that the content you create would be relevant and founded on a strong understanding of the client’s niche. When it comes to content development, one of the most important things to underscore in the content brief template to the client is that if you are hired, you would be able to, from the word go, drive the audience towards a particular action. In most cases, clients do not want to use an obvious sales pitch, meaning you would need to clearly show that you would be able to guide the audience to a given direction in an authentic approach without appearing desperate to either sell or have the audience subscribe to the client services. As a freelancer, there is some background information you need to equip yourself with before creating and subsequently submitting a content brief template. You can get this by asking the client a few questions. For example, you would want to know the image they would want to present to the audience. Does the client want to present itself as a big, fully-fledged organization? Or do they want to give a picture of an efficient start-up that is not weighed down by bureaucracies? After putting that information together, indicate with justification the kind of writing style, choice of words and the length of content to be employed for the best results. Is there need to write the content in a certain way to give it a longer life? Would that compromise its efficacy? What specifics if used in the content are likely to change in the near future? Should such changes take place, would the content still be useful? Let these scenarios come out clearly in your content brief template to show that you mean well and not selfishly trading your focus on nothing else but winning the project contract. When you put the above into consideration, your freelancing career would be made easier and your content briefs more convincing.